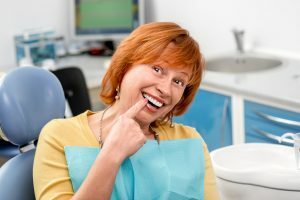 How Do Dental Implants in North Raleigh and Teeth Differ? If you’ve been suffering from tooth loss, nobody needs to tell you how much of an inconvenience it is. You’re not able to eat the foods you like, and you’ve lost a great deal of confidence. Thankfully, there is a great remedy offered with dental implants in North Raleigh. Before you commit to that process, though, you want to know more about it. For example, what’s the difference between an implant and your natural tooth? As you read on, your local dentist will answer that question. Dental implants are surgically inserted titanium posts that are affixed to your jawbone. Over time, your natural bone fuses with the post to form a sturdy foundation to support your face. To get a fuller understanding of how this process works, let’s take a look at the structure of the tooth. What Does the Tooth Consist of? Crown – The crown is the part of your tooth that you can see above your gumline. It takes the brunt of the barrage of food, liquids and other substances that flow through the mouth. Its outer surface consists of enamel, which is the hardest substance in the body and stands guard to protect the rest of your tooth. Dentin – Beneath your enamel lies the dentin, which is the first layer with any nerve activity. That’s why you feel pain sensations when decay gets to this area. Inner Tooth – The most important part of your tooth is the inner area because it houses the nerves and canals that transport nutrients. Cementum – Beneath the gumline, there is a part of the tooth called the cementum that binds your tooth into the bone mass underneath your gums. Roots – The roots borough themselves into your gums for stability and to get the nutrients that are present in the blood. When you suffer from a missing tooth, all of these parts are lost as well, but a full restoration comes the closest to recreating the tooth’s structure. What Does a Full Restoration Consist of? The Implant – The post acts as your missing tooth roots. By binding with your jawbone, it serves as the best replacement method for maintaining the stability of your jaw. An Abutment – The abutment (anchor) that is attached to your implant will be similar to the cementum, as it will bind your new crown to the implant. Crown – The crown replaces your original crown and is typically made from high-quality ceramic that is tooth-colored. Therefore, people will be hard-pressed to spot the difference. So although you lose a lot when you’re missing a tooth, with the dental implant process you’ll be able to get the closest match to the natural condition of your teeth. To learn more, reach out to your dentist in North Raleigh to schedule an appointment today! Dr. Philip A. Lisk earned his dental degree from the University of North Carolina School of Dentistry. Since then, he’s gone on to deliver expert care to his patients for over two decades. A member of several professional organizations, Dr. Lisk stays abreast of the latest advancements in the field of dentistry and can be reached for more information through his website. Comments Off on How Do Dental Implants in North Raleigh and Teeth Differ?